Heavy smoker 1+ year everyday, quit smoking when I found out about hair test(5 days), doing this method to the tee, 4-5 times a day, with all the correct ingredients. Take test tomorrow, will be doing it one more time before test… fingers crossed???? Jackson..If you use the correct method components, follow the method instructions and our recommendations, your chances of passing your hair test should be good. Thanks for your update Jackson and congratulations with your test results!! You earned it! What is your best advice to not cross contaminate? Started the method tonight. Doing it 2x a day until my test Monday. Hair is very long and I smoked weed evrryday for about two years. Stopped on Monday. Rach..I would recommend washing your pillow cases and hats with Tide, using only clean combs and avoiding any second hand smoke exposure. Don’t forget to use twice a day Aloe Toxin Rid shampoo in addition to performing the Macujo method plus Ultra Clean shampoo on your drug test day. I took my test today. I will get the results on Friday. I got a new pillow case, got a new brush, wore a shower cap to bed just to be safe. Did the macujo method 2 times a day from Thursday to today right before my test, including the aloe rid & zydot. Also, I used my aussie conditioner an hour after I finished the two times daily but waited an hour after. Is that okay as well? This should not affect your hair test results. Good luck with your test results Rach. I am pulling for you. Over the past 90 days I have smoked or eaten edibles approximately 15-20 times. I have been completely clean since September 17th except for Columbus Day weekend. I have an upcoming hair test, probably the end of next week. I have used the Macujo method now 8 times and plan on continuing to use it. I also got a hairconfirm test done last week and the results came back negative 3 days ago. Regardless, I am still paranoid. In your experience, are Hairconfirm tests reliable? Should I be confident that my cleaning regiment has actually worked? Elvin.. I think your chances of passing your hair test should be pretty good and the results of the Hair Confirm home hair test proved it. You did a great job cleansing your hair. So far, I have not seen any complaints where users who passed their home hair drug tests failed their actual tests. However, you should keep cleansing your until your hair test day to avoid a hair recontamination issue. If you are still worried, you might perform another home hair drug test using Psychemedics PDT 90 Hair Drug Testing Kit. This is the most accurate test on the market. Johnny..If you followed the hair cleansing method instructions to the letter and used the right method components, your chances of passing your test should be pretty good. I always recommend using an express home hair drug test (2 business days to get your results) before your actual test. This helps to find out if you can pass it or not. Hope this answers your question and good luck with your test. I have a hair drug test onMonday, that is supposed to test for the past 180 days. I haven’t smoked in about a week and I haven’t done anything else in about a month. I’m starting to the macujo method today (saturday) with the goal of doing it 3 times per day. I got new towels, shower caps, a new brush, but I got the neutragena t-sal shampoo. Should that be as effective as the clean and clear pink?? I plan on washing all my bedding today. Should I do anything else to help pass my test? Do you think I should do the macujo method more than what I’m going to do? I NEED to do everything possible to pass this test. Any more guidance would be hugely appreciated! Thanks! Tea..Using Neutragena is as effective as Clean and Clear Pink. Make sure that you apply properly all hair cleansing components on your 3 inches of your hair closest to the scalp (180 days testing). I would recommend performing as many Macujo methods as your hair and scalp can handle it( min 12-15 times) plus washing your hair with the Aloe Toxin Rid shampoo and using on your drug test day Ultra Clean shampoo. Hello guys. One questions. Does the Macujo method damage my hair? thanks in advance. 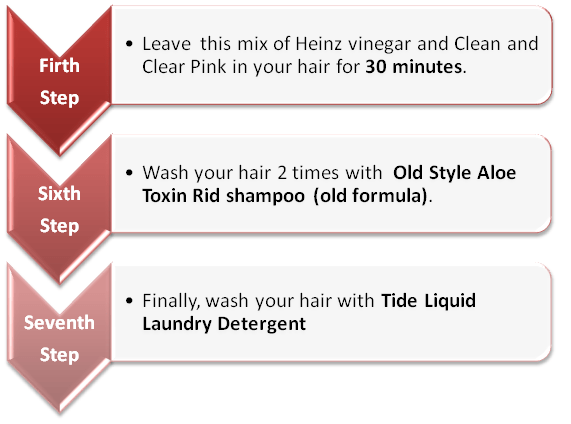 Claudio..The Macujo method might damage your hair by using Heinz vinegar and Clean and Clear. It chemically irritates and burns your scalp. In order to ease the discomfort, you can use a hair conditioner. But you have to make sure that you wait at least an hour after the Macujo application so as not to alter the effects. I have an upcoming hair test in about 30 days and I havent smoked since the the 4th of November, I used to smoke about 4 grams a day, I started the mocujo method today and wondering what my chances are of passing if I continue doing mocujo once a day until then, I have purchased 100% propylene glycol and 100% aloe vera and using this instead of aloe toxin rid, I plan on making my own mixture of aloe rid, also using zydot on the day of test, I’ve gone to the salon and had an oil treatment to cleanse the scalp as well already and have been taking sonne detox drink as well to clear any thc that might be stored in the body, I plan on getting a hair confirm test done also, do you think this will be enough? What do you recommend for me? Jasmine.. So far, we have not seen that users have success with passing their hair tests without using the Aloe Toxin Rid shampoo. Aloe Toxin Rid shampoo contains many specially formulated components including high propylene glycol which helps to open the cuticle and reduce the metabolites from the cortex. As you are creating your own hair cleansing method, it is tough to predict the outcome. If you decide to follow your own hair cleansing method, I would recommend after cleansing your hair multiple times using a home hair drug test. This will show how effective your method is and what you should do next. Stopped smoking on 9/10/2018 have to take a test on 12/04/2018. Was not a heavy smoker only a few hits a night for a few months. I stopped smoking right before finding out a job opportunity might be available. I have been taking vitamins to encourage hair growth. I bought everything for this method and am starting it this week (planning on doing it 5 times). I have pretty thin hair and I have had it cut twice since stopping smoking actually just had it cut today. This is a really important job opportunity and I guess I’m more worried they will go further than the 1.5 inches to test considering my hair has grown about 2 inches since quitting. Any advice? Billy..First, smoking a few hits every night is considered as a heavy THC exposure as THC accumulates in your body fat cells over a period of time. So, in your case I would recommend performing the Macujo method at least 8-12 times plus using Aloe Toxin Rid shampoo at least twice a day and on your drug test day Ultra Clean shampoo. 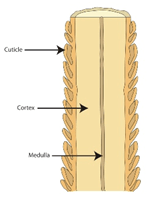 Usually Labs perform testing on the fist 1.5 inches of hair closets to a scalp. If you are concerned that 2 inches of your hair will be tested, just make sure to apply all hair cleansing methods components on the 2-3 inches of your hair closets to your scalp. If you have enough time before the hair drug test, I highly recommend using an express home hair drug test. This will tell you where you stand and what you should do next. Thanks for the input. I don’t have the time or money to do the express home hair drug test but I will make sure to do the test at least 8 times. Is it okay to do it back to back? Billy..Yes, you can perform the Macujo method back to back. This might be harsh on your hair and skin. To ease the discomfort, you can use a hair conditioner. But you have to make sure that you wait at least an hour after the Macujo application so as not to alter the effects. Just an update took my test over 3 weeks ago and haven’t heard anything from my new employer! Guessing that’s good because I start a week from Monday! Thanks for the advice! Thanks for your update Billy and congratulations with your new job!! I had a pre-employment HFT performed yesterday, 11/26. Female, 5’7, 135 lbs, daily smoker of approximately 1 bowl, more on weekends. Long brown hair, medium thickness. Was 2 weeks clean on the day of my test and passing a urinalysis (originally thought this is how I would be tested). I did not have time to perform an at-home HFT, but wanted to see what you thought my odds might be. Day 2 (11/16): Toxin Rid 3-day tablets, found out it would be HFT. Day 3 (11/17): Macujo method, separate Aloe Rid wash.
Hopefull.. In your case, I would recommend performing at least 10-14 Macujo methods. Hopefully your approach will be effective enough as well. Good luck with your test results and let me know how you did it. I am pulling for you. Thanks so much! Got the word that I passed. For anyone who, like me, scoured the internet for guidance and hope – it can work for you too. Set a plan, follow it exactly, and have faith. Note that I was a heavy user with very little clean time. In addition, I missed another Macujo Method in my original post, as I did have a total of 10. Very much appreciate all of the information here! Hopeful..Congratulations with your test results! You earned it. Ive been a smoker of pot for over 20yrs ive bought all the ingredients but cant find the clean and clear pink anywhere , what is another substitute you can recommend that i can buy freely in shops ? Need asap have my test in about a week. Claire..You can Neutrogena T/Sal (3%) instead of Clean and Clear Pink. You can find it on amazon.com. What is the point of the Tide? Does it act as a hair detox as well? Hello. I only took about 7 hits spanning about 5 days 9 days ago and have a hair test this week… I can’t afford the aloe rid but I’ve done the vinegar, clean and clear, t-sal, baking soda and tide 3 times so far. My hair is very long but the strands are thin… I’m freaking out and my scalp is burnt… Do you think my levels are too low to be detected and will this method work without the aloe rid??? Lisa..So far we have not seen that the Macujo method is effective without the Aloe Toxin Rid shampoo. If these 7 hits were the only times you used marijuana during the last 6 months, there is a chance that your THC-COOH levels won’t exceed the cutoff levels. However, this is not a guarantee. Unfortunately if money is tight, it makes it tough to get proof that your hair is clean unless you get your hair tested with a home hair drug test, these run about $70.00. It also looks like time is against you as well as it takes a couple of days to get the results. Hope that the odds will be in your favor this time. I am pulling for you. Hey John, i have an upcoming hair test don’t know exactly when I’m going to have to take it. I’ve been using the old style aloe toxin rid for about two weeks now. I’ve smoked probably 15 times in the last 90 days most of them being about 50-60 days ago. My biggest concern is that I’ve been in the same house as other people smoking but have tried to stay away from it. Is that going to affect my results? Steven..If you are exposed to a heavy dose of second hand marijuana smoke some of which could enter your system through inhalation, there is a chance that this exposure could increase the THC-COOH levels in your blood, urine and hair, it would take more than one exposure to make any significant gains though and it would really have to be pretty dense second hand smoke. So, I would recommend avoiding second hand marijuana exposure until you pass your hair drug test. Besides, as you have time until your test, it would be very helpful if you check where you stand now with an express home hair drug test. This will show how effective the hair cleansing methods are in your case and if second hand smoke had any impact on your levels as well. Works ! However I didnt use the aloe rid. I replaced it with axe body wash kilo ( not sure if this helped but it has pg in it) i also used the clean and clear and tsal to better my chances. After washing out the vinegar and salycic acid out I used baking soda too. Did this for a total of 12 times (twice daily) 6 days and final day did the last macujo method and than did the zydot ultra clean shampoo. Was going to test that day but wasn’t going to make it in time before they closed so I tested the next morning and received the negative results the following day ! Are u able to smoke a black and mild during this process? Chris.. If you would like to increase your odds of passing your hair test, it is highly recommended to avoid being exposed to any extra toxins during the hair cleansing process. When do you use the Zydot Ultra Clean? After the Tide? Before the Tide? Or is it just a complete stand alone? I can’t find where it really specifies it….I know I use it the day of and right before your test, but is it integrated into the Macujo Method or do I do the Macujo Method andTHEN wash with Zydot Ultra Clean? Any help would be awesome! Dana.. Ultra Clean shampoo should be used on your drug test day, not before. This shampoo is not integrated into the Macujo method. Ultra Clean shampoo is the last hair cleansing product you should use befor going to your hair test. I have virtually no “clean” time & yet I would like to start the Macujo method immediately…if I do it properly & enough times are my chances less than simply because of not being clean at all? Jackie.. I am not sure exactly what it is that you are asking me, but if you can perform the Macujo Method with all the proper components along with Aloe Toxin Rid Shampoo at least 3 days prior to your test performing the procedure as many times as your hair and scalp can take it, you have a good chance of passing a hair test. Don’t forget using on your drug test day the Ultra Clean shampoo. If you have time I always recommend using a home hair test to check your results. I was a heavy smoker and stopped 5 days ago I have a hair test in exactly 30 days need advise please. Also being that i stopped will thc keep entering the hair folical? Can u blow dry your hair the day of the drug test ? Donyell..You can use hair dryer before on your drug test day. How damaged is my scalp going to be? I have 6 days until possible test so I will probably be able to do 10 macujo’s- is that enough? Light smoker w 60 days clean. But I have two hours of interviews and if I pass then I get hair sample taken. I can’t have a noticeably bloody red scalp – the interviewer and the person taking the sample would notice, wouldn’t they? Is neutragena less harsh? Thanks. Ps: if my test gets delayed a week do I have to keep doing the macujo? Jean..If you are a light user (using marijuana once a week), performing 10 Macujo methods should be enough to drop your THC-COOH below cutoff levels. It is tough to say how your scalp will react on the Macujo method components. To ease the potential side effects of the Macujo method, you can try using a hair conditioner. It is essential however to wait at least an hour before applying the hair conditioner as not to alter the effects. Neutragena is just about as harsh as Clean and Clear Pink. But you can try using both if you would like. As you are a light user and abstained from marijuana for 60 days, you won’t face a hair recontamination issue. So, if your test is postponed, you won’t need to keep performing the Macujo method. However, on your drug test you should use the Ultra Clean shampoo. I would highly recommend if you have the time, performing a home hair drug test (2 business days to get your results back). This will show if you can pass it or not. Do I have to keep buying new combs ? Or is there a way I can clean them real good without cross contamination? I bought a 12 pack of combs in Wal Mart for like $4. It’s not worth the time to clean them in my opinion. Darnell..You can wash your combs with Tide. This should help to avoid cross contamination. I have another question just scared I’m not going to pass but Should I perform one last Macujo method the day of the test ?? Donyell.. If your scalp and hair can handle it, you can perform one last Macujo method on your drug test day. And don’t forget on your drug test day after performing the last Macujo method, using Ultra Clean shampoo as well. Does this work for hydrocodone/ Oxycodone? Dman.. Macujo method is effective for all toxins including hydrocodone/ Oxycodone. Can u use the aloe rid as your regular shampoo when doing the zydot process??? Ashley.. You should not use the Aloe Toxin Rid shampoo while cleansing your hair with Ultra Clean shampoo. The Ultra Clean shampoo should be used on your drug test day as the last shampoo used before you go to your actual test. I washed my towels to dry my hair before I started the whole process but did not wash them after every time I did the method, would that expose my hair to cross contamination? Same with my brush. I bought a new one to brush my hair throughout doing the method (I would brush my hair when the vinegar+clean and clear in my hair and would brush it with the aloe rid in my hair to get every strand) but would not completely wash the brush after. Am I at risk for cross contamination? ZeldaM..There is a low chance of cross contamination in this case. However, to be on the safe side, I would recommend performing at least a couple Macujo methods using clean towels and a brush every time. You just need to wash your towels and the brush with Tide. I have a HST in 14 days I stopped smoking 10 weeks ago, is the macujo method reliable if I do it once a day for the next 14 days or do I have to do it more times a day until test? I have bern a heavy smoker for 20years, what is the best way to pass the test? I have all the ingrediants for the test how do i ensure its a positive outcome? Also how long will it keep my hair clean for? If the test is postponed how l9ng do i have before the macujo method wears off ? Claire..First, I would recommend checking to see if you face a recontamination issue by checking your THC levels with a home urine drug test. If you already test negative, this means that you can start performing the Macujo method now plus using the Aloe Toxin Rid shampoo two times a day and the Ultra clean shampoo on your drug test day. After performing at least 8 Macujo methods, I would recommend checking your THC-COOH levels with an express home hair test (2 business days to get your results back). This will show where you stand and if you need to perform more Macujo methods. If your levels are below cutoff levels, you should not have any problems with passing your hair test anytime as your hair will be clean for good. 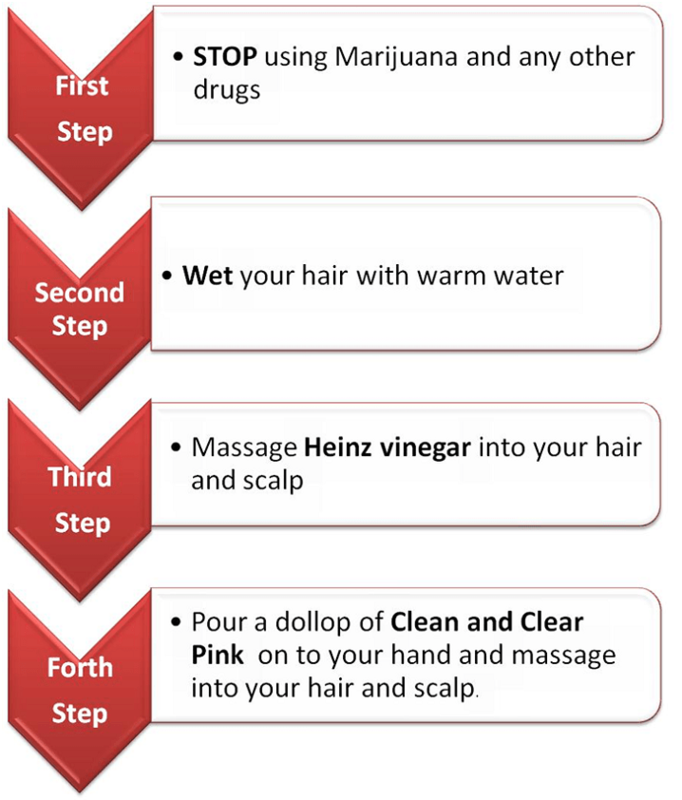 However, if you test positive on your home urine drug test (hair recontamination issue), you should perform a combination of the two hair cleansing methods until your hair drug test day. My test snuck up on me really quickly and I did the macujo methof 8 times in 2 days. My skin around my hairline is feeling chemically burned/irritated along with my ears. What can I use to soothe the irritation? OBLS..To ease the discomfort, you can use a hair conditioner. But you have to make sure that you wait at least an hour after the Macujo application so as not to alter the effects. So far I’ve done everything by the book, won’t let anything touch my hair unless it’s washed, sleep in a shower cap, only dry my hair with paper towels,wear a shower cap in the car, etc. The times I used zydot were when I thought I would get a test done for myself. LabCorp said my hair was too short, but then another place took my sample on 2/1 afternoon. I also plan to go this Friday. I’m waiting on the results still and hoping I pass, but it’s been 4 days with no report and I’m getting nervous. What do you think my chances are given my situation? Also, I’m 5′ 8″, 145lbs with dark brown thick hair. Dan.. 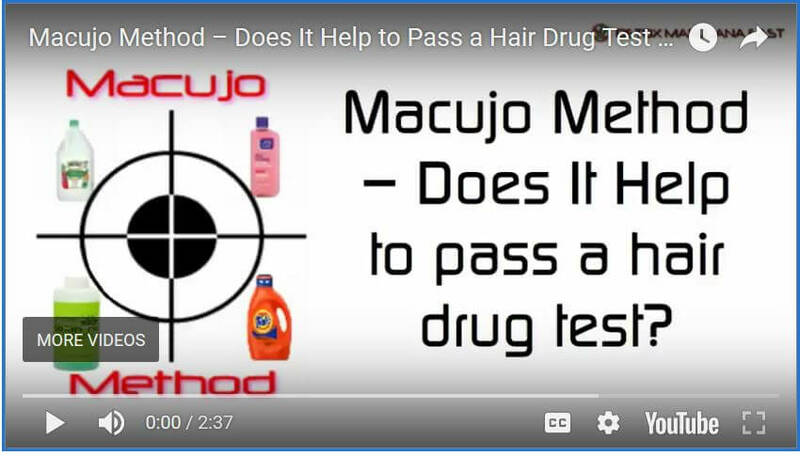 I think your chances of passing your hair test should be pretty good if you followed the Macujo method instructions to the letter and used right components. Can I use hair gel while doing the Macujo method and after I use the zydot ultra clean before my test. Deb..I would recommend avoiding using a hair gel while performing the Macujo method and after using the Ultra Clean shampoo as well. I am expecting my hair test next week but don’t know what day or if it’s for sure next week. I am waiting to hear back from the job. I have all the supplies for the Macujo Method as of today. The old style Aloe Rid shampoo should be delivered tomorrow. Can I do the Macujo Method today or should I wait until I know when the test will be and then start everything? It may not be next week. Basically, how many days in advance can I do this? Does it have to be only 3 days before the test? I have seen some users say they did it for 10-12 days in advance. Also, the Aloe Rid shampoo needs to stay on for 10 minutes, correct? Nervous..If you already test negative on your home urine drug test (no hair recontamination issue), you can start performing the Macujo method as soon as you receive the Aloe Toxin Rid shampoo. If you still test positive on the home urine test, you should perform the Macujo method as close as possible to your test. methods as many times as your scalp and hair can handle it (min 12-15 times). If you are light/moderate user 5-9 times usually is enough to cleanse your hair properly. In any case, don’t forget using the Ultra Clean shampoo on your drug test day. According to the Aloe Toxin Rid shampoo instructions, you should apply it and massage into scalp and hair for 10 minutes, working up a lather, leave it for 3 minutes and then rinse well with lukewarm water. It is tough to say how the Macujo method will affect your scalp and hair as everybody reacts differently. If you used a hair color, it might strip some of your hair color. So, if you are worried about keeping the same color, you might need to color your hair before your test. I never heard that users lost their hair though. This might happen if you perform the Jerry J method instead. Hopefully this might ease your mind a bit. I totally understand how you feel. I have been there. If you need more help, let me know. I am pulling for you. I’m approximately 5’8″ and 170 lbs. Natural brunette, dyed black. Long hair, passed my shoulders. I use marijuana, norco, and narcotic muscle relaxers; however, lost my insurance during a break in employment. So right now, I’m using all 3 illegally. I have not smoked for the last 7 days, no norcs for about 1 month, daily use of muscle relaxers continued, X back in November, and a few party nights with coke (light usage), last time being a little over 2 wks ago. I’ve got a pre-employment drug screening (hair follicle) on February 20th. (So 9 days of Macujo Method ahead of me). Ever heard of a successful pass with anyone having comparable drug use and similar timeline? Does the Heinz brand of vinegar really matter? Can I buy a generic? How many times a day should I treat with this method? Can you plz confirm Zydot is only for the day of the test? Can I use a heavy conditioner after each application? Omg, thank you for any feedback/advice you can provide. This is a really good offer I can’t lose. Freaking out 100%! Lilly.. 1.Many users pass their hair drug tests for many different toxins and substances including the ones you mentioned. 2. It is recommended to follow the method instructions precisely using the Heinz brand vinegar. You can buy Heinz vinegar at any grocery store. Others might work just as well but why risk it. 3. As you used a hair color, the Macujo method can strip some of your hair color. So, if you are worried about keeping the same color, you might need to color your hair before your test. 4. In your case, I would recommend performing as many Macujo methods as your hair and scalp can handle it (12-15 times) plus using the Aloe Toxin Rid shampoo twice a day. The Ultra Clean shampoo should be used only on your drug test day. It is up to you on how many Macujo methods you will be able to perform a day (1, 2 or 3). This depends on your schedule and how your hair can handle it. Just make sure that you perform 12-15 total until your test. 5. To ease the discomfort, you can use a hair conditioner. But you have to make sure that you wait at least an hour after the Macujo application so as not to alter the effects. Hope this helps. If you need more help, just let me know.